The Australian Securities and Investments Commission (ASIC) has published a warning about Skyllex. Skyllex is an investment program that promises returns up to 1100%. The company running this program is allegedly base in Australia. However the ASIC has warned that the Skyllex’s website contains false and misleading statements. For example Skyllex is absolutely not regulated by the ASIC, it doesn’t have the AFS licence. Also the company’s activity is not insured by QBE Insurance group. 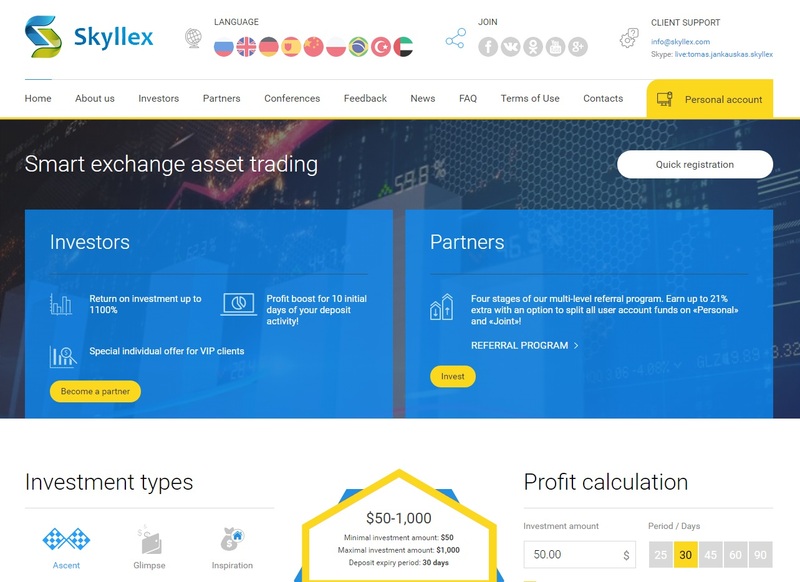 Another scam statement from Skyllex is that it has partnerships with Australian Securities Exchange, the Dubai Financial Market and SWX trade. It is not true. Moreover there are already complaints from people who deposited money with Skyllex and are not able to recover it. This clearly shows that it is a scam.